What does the Cloud Setup Screen do? 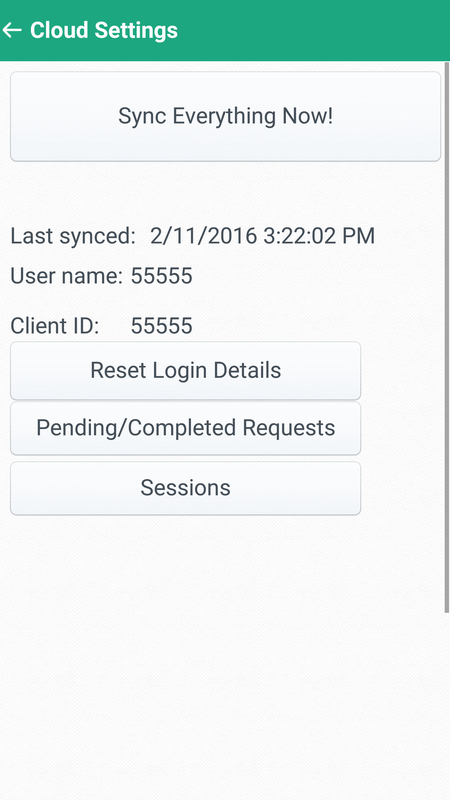 The cloud setup screen allows you to sync everythying, reset and view login details, view pending/completed requests and view sessions. Step 1: Press Setup from the home screen. After pressing Cloud, the following screen will appear. 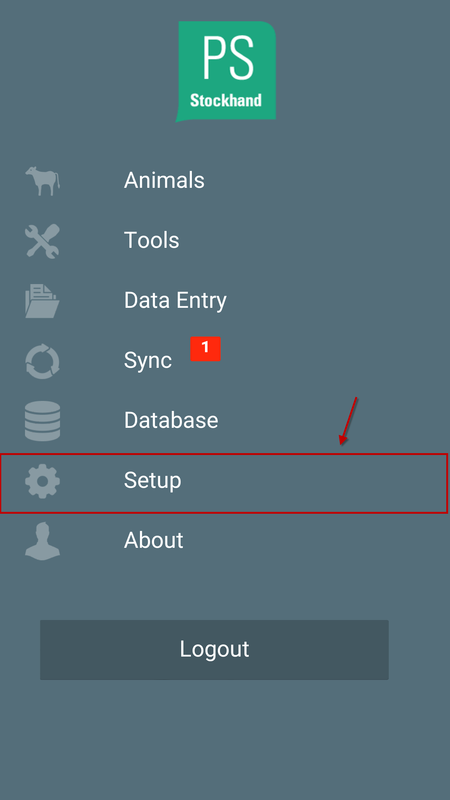 Sync Everything Now: Enables you to sync everything to the database. Reset Login Details: Enables you to reset your login details for the Stockhand App. Click Here for more information. Pending/Completed Requests: If you create an action using the tools screen whilst you are out of wifi or mobile data range these actions will appear in the Pending/Complete Requests screen. Click Here for more information. 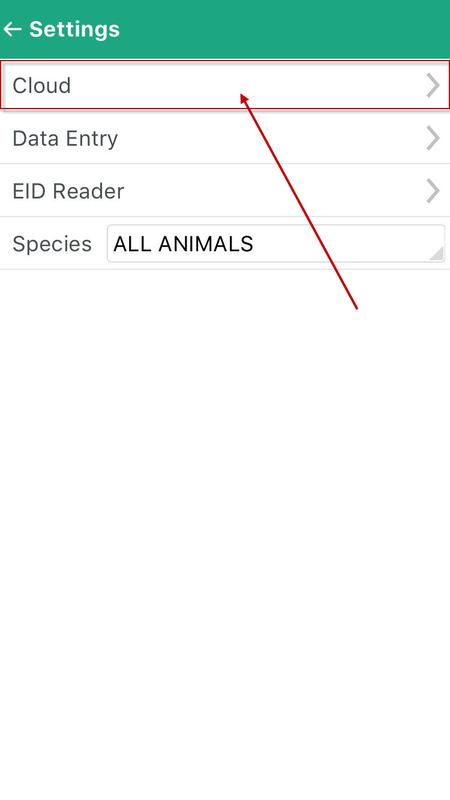 Sessions: Enables you to view and delete the sessions you have created on your Stockhand App. Click Here for more information.